Signing your kid up for a sports team will mean signing more than a few checks or credit card receipts, but it’s an investment that’s worth making. Of course the chances of your kid getting a college scholarship to play at a university is small, and the idea of them making a career of it is even slimmer. But the upside of sports and the value they gain goes far beyond these financial qualifiers. If you’re like most American parents, you’ve probably noticed that your kid spends a fair amount of time in front of the TV, playing video games or messing around with a tablet. These sedentary activities are part of the reason childhood obesity rates have doubled in the last 30 years. 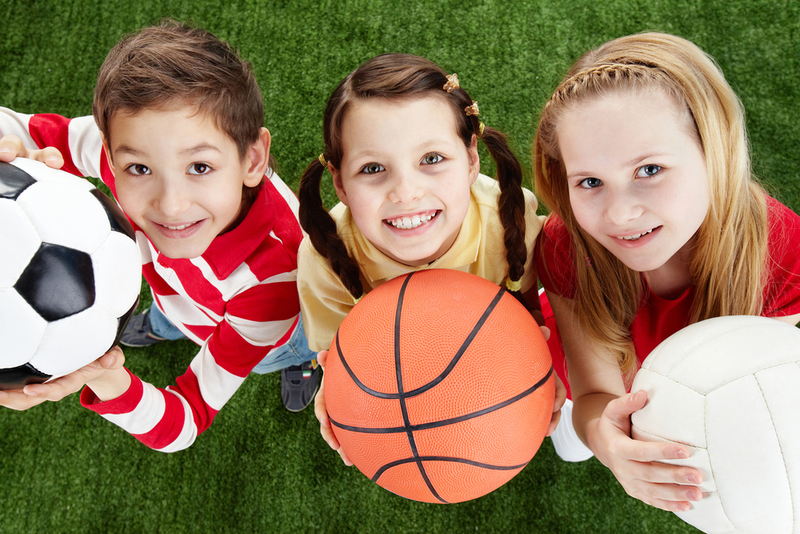 Joining a sports team gives your kids a way to stay physically active. It essentially puts them on an activity schedule because practices and games happen on a regular basis. But what about injuries? Well, playing sports does usually come with a few scraps and bruises. There is a chance that something more serious could happen. But the rules of the game are safer for most sports today and technology has provided an array of protective gear. For example, equipment like Mizuno catcher’s gear are carefully designed to keep your child safe behind the plate, which is arguably one of the riskiest positions across all sports. Being on a team as a kid is one of the best ways to instill the concept of teamwork from a very early age. They quickly learn that everyone has to work together if they want to win. That everyone plays a role working towards a bigger goal that requires help from everyone. Your kid can take pride in the knowing they’ve contributed, but they’ll understand it was a team effort. The taste of victory is sweet, but losing a big game can be a huge blow. That’s life. Being a part of a competitive sports team helps kids learn about success and failure. They quickly find that winning requires hard work and dedication – things aren’t handed to you out in the real world. Failure will make them strive harder and understand that a single setback doesn’t necessarily stop them from achieving a goal. Even the best team loses from time to time. Even the best player has a bad game every now and then. Those are teachable moments where kids can learn how to adapt and improve instead of giving up or settling. Some have blamed millennials’ lack of teamwork skills on their tendency to interact with screens as much (or more) than people. A recent Pew Research study does show that overall millennial participation in sports declined from 2010-2014. Being a part of a team is very socially rewarding for kids. Many studies have been conducted that show kids who participate in sports have better psychosocial behavior and less behavioral problems. In addition to teaching teamwork, it helps them learn to handle different personality types, make new friends and experience new situations. They get to share successes with others, which can make wins more meaningful. Last, but not least, team sports are a family affair. From practicing at home to weekend tournaments to simply discussing how the game went, sports gives parents many ways to bond with their kids. Just be careful not to become the overly competitive, sideline coach/parent that ruins the game for everyone. BONUS! Want one more reason why investing in team sports today is good idea for your kid’s future? Studies have found that kids who participate in sports end up getting better job prospects as adults compared to kids who didn’t play a sport. Now that’s a sound investment. Your kid should not just be playing sports, your kid should be playing the great game of baseball. You can learn so many great things with a glove on your hand. If your kid does play baseball and you are looking for great bats go here https://www.baseballbargains.com/product-category/bats/. My son plays and we have bought all his equipment from Baseball Bargains, great prices, great service.